Dental veneers, which are wafer-thin shells designed to cover the front surfaces of your teeth, are tailored to fit your teeth and conceal imperfections or enhance their appearance. 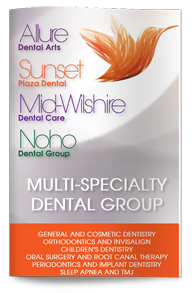 Our West Hollywood cosmetic dentist, Dr. Poneh Ghasri, can use porcelain dental veneers to change the shape, color, length or other aspects of your teeth. Many people are often dissatisfied with the appearance of their smiles due to the effects of time, dental trauma or decay. Discolorations, stains, wear, aging and damage are common reasons for using dental veneers, but veneers can also be used to correct minor misalignments, closely spaced or gapped teeth, teeth with irregular shapes or teeth that have other cosmetic abnormalities. 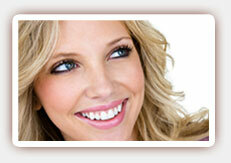 The procedure for getting dental veneers generally requires two dental visits. The first requires the preparation of your teeth. The gums around your teeth will be anesthetized, and your teeth will be shaped and contoured so that the veneers will fit comfortably. Dental impressions will be taken, and you may receive temporary veneers to protect your prepared teeth. Once your new veneers are ready, Dr. Ghasri will bond them permanently into place. Porcelain veneers can provide you with a naturally beautiful smile that reflects light just like your own natural teeth, and unlike dental enamel, they resist stains. They can be chosen in a lighter color in order to provide a lift and create a whiter, brighter smile, and the procedure is a conservative alternative to crowns yet offers many similar benefits. Contact Dr. Ghasri, West Hollywood porcelain veneers specialist today to learn more about your options for a brighter, healthier-looking smile or to schedule your consultation.